Several months ago, Ray began researching the mini-Simmons shape with the intention of building a couple. He knew that I had been exposed to this new shape while surfing and shaping in the San Diego area, so he would ask me for feedback as he went through the process of building a template, ordering the blank. 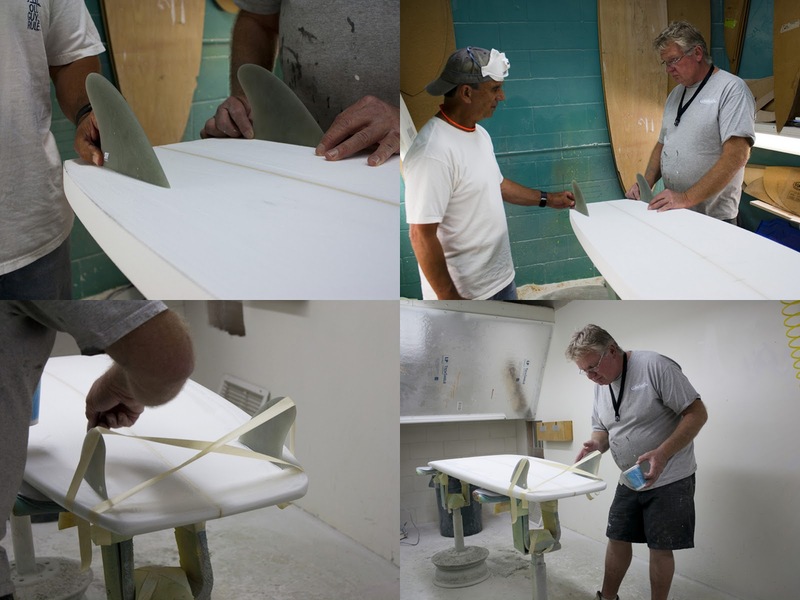 selecting the fins and setting the fins. By early summer, he had shaped a couple and placed them in the capable hands of Shawn Tracht, who’s rider’s review can be found in the Sep/Oct issue of Deep Magazine. duplicate the “process” as it is to duplicate the template and dimensions. watching and studying his process, I set about shaping a 5’10” mini-sims. the fins were placed as discussed. Its this collaboration, this give-and-take between shapers and glassers and surfers that is at the very heart of surfcaft building. All photos courtesy of Jay Golien, SliderMagazine.